The France Passion concept was invented when the editor of a wine magazine noticed that more and more motorhomes were exploring the winegrowing regions of France. He realised that it was not easy for them to find a safe place to park overnight in these rural areas. His idea was to organise a network of winegrowers who could provide free private parking space on their land, and were happy to welcome motorhomes all year round for an overnight stopover or a 24 hour stay. Since those pioneering days, the network has taken off, now including close to 2000 host properties. From 1994 the network was extended with the help of the Vignerons Indépendants de France (National Confederation of Independent Winegrowers), encompassing Alsace, Bordeaux, Champagne, Burgundy, Jura and the Loire valley. In 1997, fruit, cheese, and honey producers joined the network as a result of a partnership with the Chambers of Agriculture and the "Bienvenue à la Ferme" network. 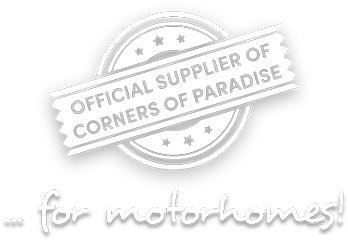 France Passion now covers the whole of France, expanding to accommodate the ever increasing numbers of motorhomes visiting from Belgium, Switzerland, Great Britain, Sweden, Italy, Finland… and, of course, France. Today, in its 27th year, The France Passion concept is available in 91 departments, on over 2.000 properties - winegrowers, farmers, tradesmen/women, farmhouse inns and … motorhomers! Order your Stopover Guide and receive your window sticker and guest card: then the French countryside is yours to explore!